Personal issues such as family problems, life-changing situations, emotional difficulties, illness, and even one's sexual orientation can impact your job and ultimately your ability to advance your career. Try as you might to keep your private life separate from your work life, inevitably one may begin to run into the other. Learn how to keep personal issues from negatively affecting your job and career. Prevention is the best medicine. Your coworkers and boss will only know as much about your personal life as you share with them. If you don't want those with whom you work to know about things going on in your life outside work, then you must learn how to keep a secret. Everyone gets angry from time to time. Some people react very quickly, in a negative manner, to anger. Others manage their anger and approach it in a calm and reasonable way. Obviously, especially in a workplace setting, the latter is a much more appropriate reaction. If you are a gay, lesbian or transgender person you may wonder if it's a good idea to share this information with your boss or coworkers. Some people make the decision to come out at work based on how they think others will react—will your life at work change for the better or worse, or will it remain the same? Others can't be happy unless they can be true to themselves and come out, regardless of what others think. There isn't a right or wrong answer. Shyness can hinder your career advancement. It can keep you from speaking up at work, asking for a raise or promotion, and networking. Fortunately, many people can overcome shyness and eventually have a successful career. When a co-worker dies, it impacts all the people with whom he or she worked. Everyone will be affected on a professional level, but some will be affected on a personal level as well. While work can be an escape for those who have lost someone in their private lives, one will be reminded of the loss of a coworker each time he or she goes to work. 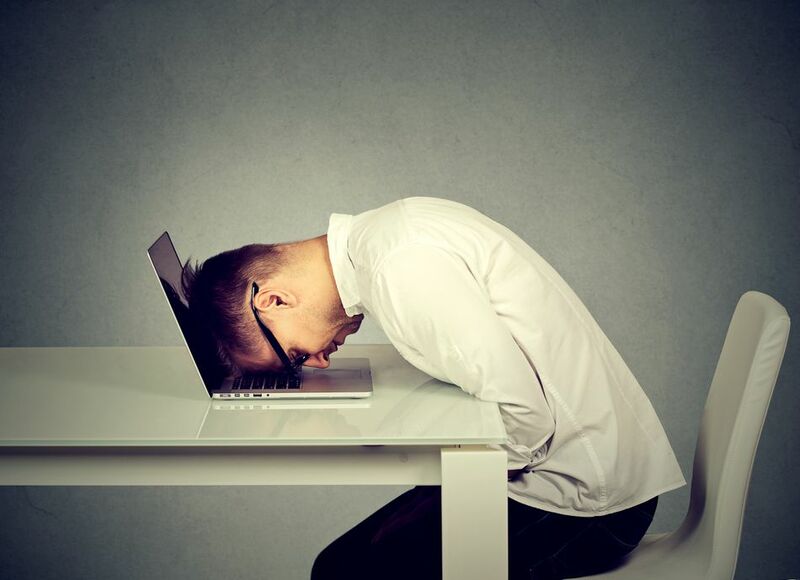 Job burnout can result from working too hard because you are concerned about losing your job. Ironically, it can lead you to become less motivated about work and actually threaten your job, in addition to causing some serious mental and physical health issues. Before that happens, there are ways you can turn things around. Because treatment will probably dictate that you take time off from work, you may be unable to avoid sharing news of a cancer diagnosis with your employer and coworkers. How much detail you provide is entirely up to you. One thing you don't have to worry about is losing your job because of your diagnosis. A disability doesn't have to keep you from having a productive career, and certainly, no one but you and your physician can decide what, if any, limitations you have. You also don't have to provide your boss with details about your disability or tell her about it at all, unless you have to ask for certain accommodations. Generally, there is a great deal of excitement surrounding a pregnancy. When a woman gets the news, she often wants to tell everyone she knows. Before making the big announcement at work, learn how pregnancy can affect your job and how the law protects you. Do You Share TMI at Work? Shy? Don't Let it Ruin Your Career.